Feng Chia night market is a popular place, but after walking around for a while, it might be difficult for you to find a place to relax. Therefore, we are going to introduce a nice place - Oaken Café – the perfect place to rest your tired feet. 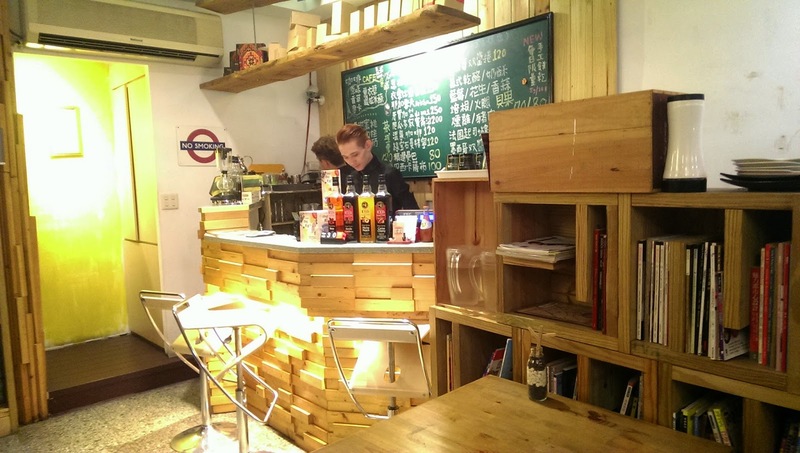 Oaken Café is tucked away in an alley near Feng Chia University (off Feng Chia Road between Fuxing and Xitun Roads). 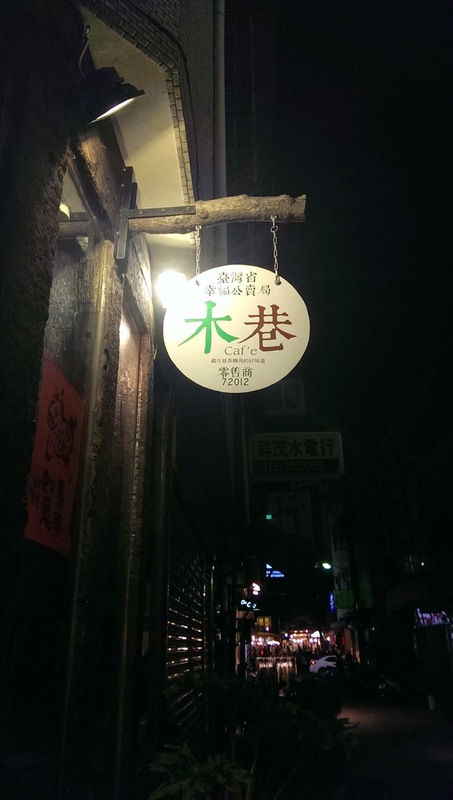 Very few people know about the café shop; most students at Feng Chia University have never heard of it. That’s what makes it the perfect rest stop. The first time we visited the café, we had no idea where the door was until the waiter opened the door for us. After we went in, we discovered that the shop was not only a café, but also a bed & breakfast. Our waiter took us to a table and gave us menus. The café was not big inside; there were only three to four tables, which could sit only about 12 people. Most of the decorations were very special and all made from wood. 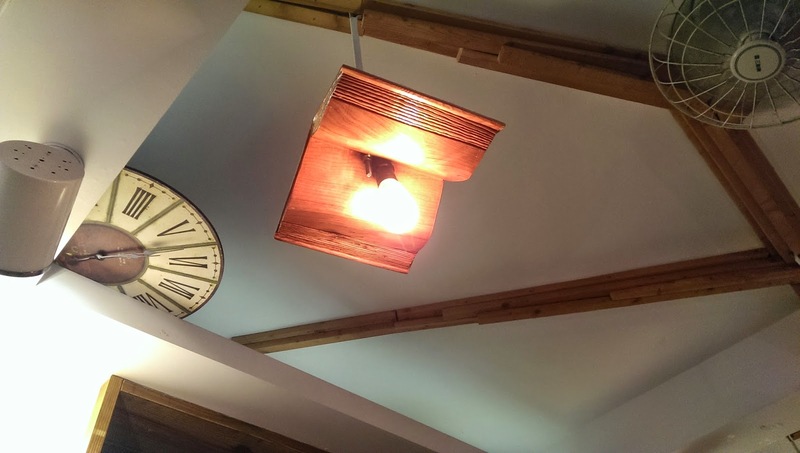 The doorknobs and lights were shaped like open books made from wood. Furthermore, there was an interesting box on the wall. We approached the box and found that it was a mail box where customers could send postcards for free. 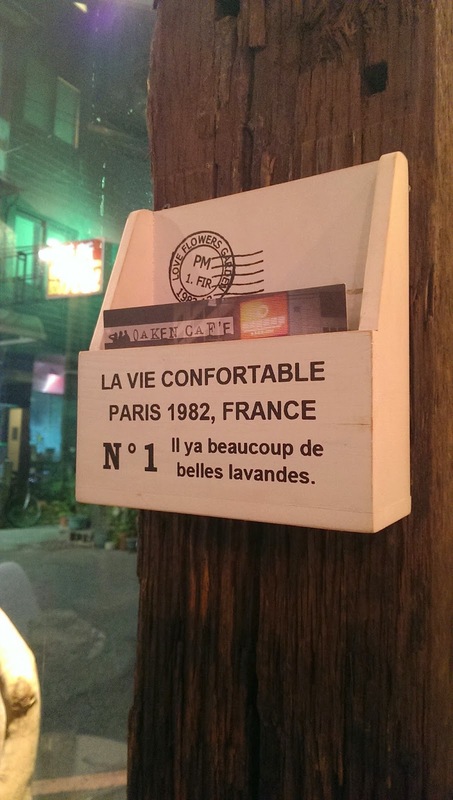 There were some postcards on a shelf above the box, and visitors could write a few lines and drop their postcards into the box; Oaken Café then mails it for free. 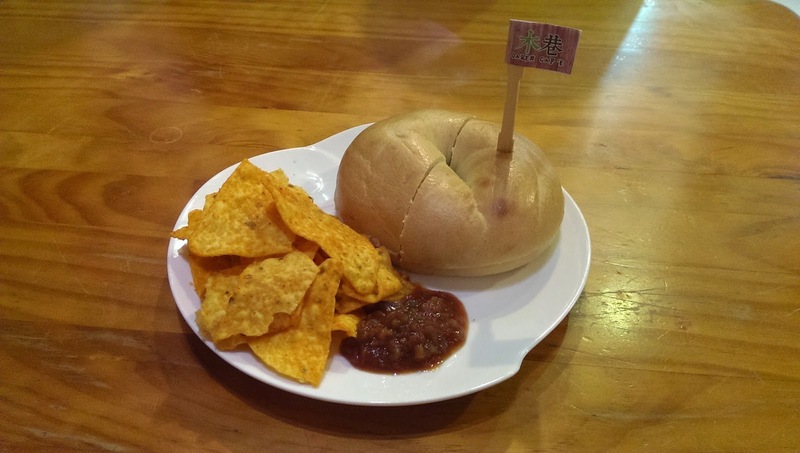 In the café, visitors can also buy a special souvenir like a keychain shaped like Taiwan. After exploring the café, we went in for our meal. 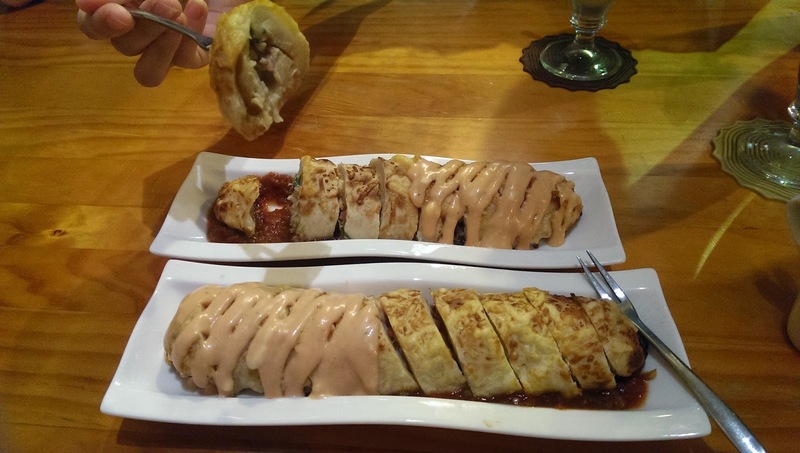 AT Oaken Café, they sell mostly coffee, but you can buy tea and snacks, Mexican burritos, bagels, and ice cream. We ordered two cups of latte, a Mexican burrito and a bagel. The latte tasted great. The coffee beans are fair trade beans, which is good, also. However, we were disappointed about the Mexican burrito because it looked like the one from Costco. The sauce was different, though, and much tastier. There were two different sauces on it; one was salsa and the other Caesar. I preferred the salsa to the Caesar. Additionally, the bagel was soft and delicious! For the most part, we enjoyed our meals. The only pity was that the service was too slow. We had to wait for more than 15 minutes for our coffee. Oaken Café is a place where you can relax and get away from all the noise of modern life. You can order a cup of coffee and spend an afternoon here by yourself. It is also a nice place to hang out with friends. The next time you are in the Feng Chia night market area, you don’t have to worry about finding a place to relax; Oaken Café will soon be your favorite!